PSA Group’s luxury brand is getting ready to introduce its interesting subcompact crossover at the upcoming 2018 Paris Motor Show. 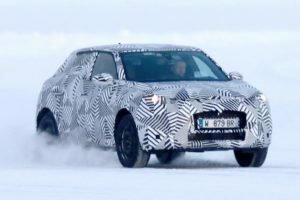 The vehicle, however, made an online debut today, so we know pretty much everything about the 2019 DS3 Crossback already. The high-tech luxury SUV rides on carmaker’s CMP platform for compact cars. 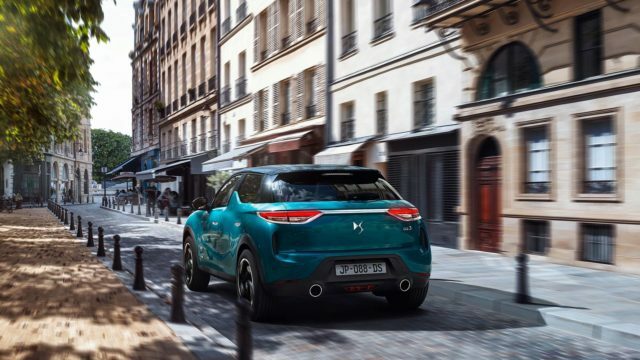 By using the architecture the new DS3 Crossback gets a chance to offer a wide range of engines. In addition to a few diesel and gasoline options, the attractive crossover is also getting an electric option. 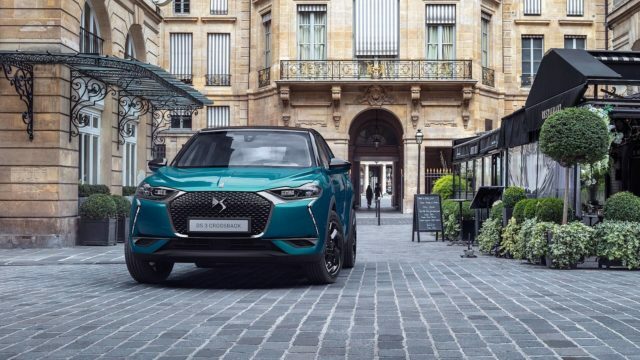 The battery-powered DS3 Crossback will be named E-Tense. The option will use a 50-kWh battery and an electric motor that delivers 136 horsepower and 191 pound-feet of torque. Officially, the floor-mounted lithium-ion battery will enable a driving range of 186 miles on a single charge. Speaking of charging, the crossover has to be plugged home about 5 hours to be fully charged. A fast-charging station, on the other hand, does around 80 percent of the job in just 30 minutes. The E-Tense takes over 8 seconds to speed up from 0 to 60 mph, which is not an impressive result but it’s not too bad either. The gasoline-powered 2019 DS Crossback will use a 1.2-liter PureTech three-cylinder engine only. 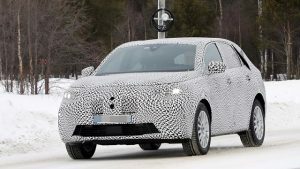 The unit will, however, be offered in three forms so the potential buyers are going to be able to choose between 100 horsepower (74.5 kilowatts), 130 hp (97 kW), and 155 hp (115.5 kW). The diesel SUV will rely on a 1.5-liter BlueHDI capable of producing 100 hp (74.5 kW) or 130 horsepower (97 kW). All options are going to be paired with all-wheel-drive which gets power either via either a six-speed manual gearbox or through the all-new eight-speed auto transmission. 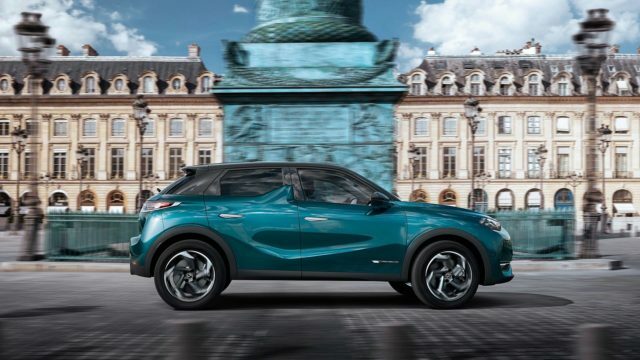 Even though the luxury subcompact crossover segment counts a really big number of attractive models the newcomer from DS can become an interesting option, especially in Europe. The vehicle shows pretty interesting exterior design and modern cabin which is loaded with the latest technologies. It looks like the automaker paid a special attention to every detail inside and managed to make perhaps one of the most attractive cabins available. Crossover’s instrument cluster is fully-digital of course, while the infotainment system comes paired with a large screen. 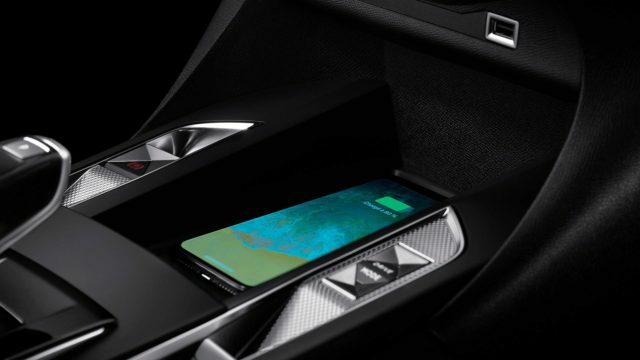 The carmaker didn’t skip the chance to add a head-up display that seems to be perfectly positioned, as well as quite useful a smartphone charging pad. One of many interesting features of the upcoming crossover is pop-out door handles that recognize driver’s key within a radius of about 5.0 feet. The system also works in the opposite direction, so the driver doesn’t have to think about locking. The 2019 DS3 Crossback is fitted with a quite impressive number of driver aids. Just some of them are adaptive cruise control, traffic sign recognition, automatic emergency braking, and an automated parking assistant. The impressive DS3 Crossback will start its journey by making its official debut at the 2018 Paris Motor Show. The subcompact will hit the showrooms early next year, but unfortunately, it’s not going to reach the U.S. soil for now.